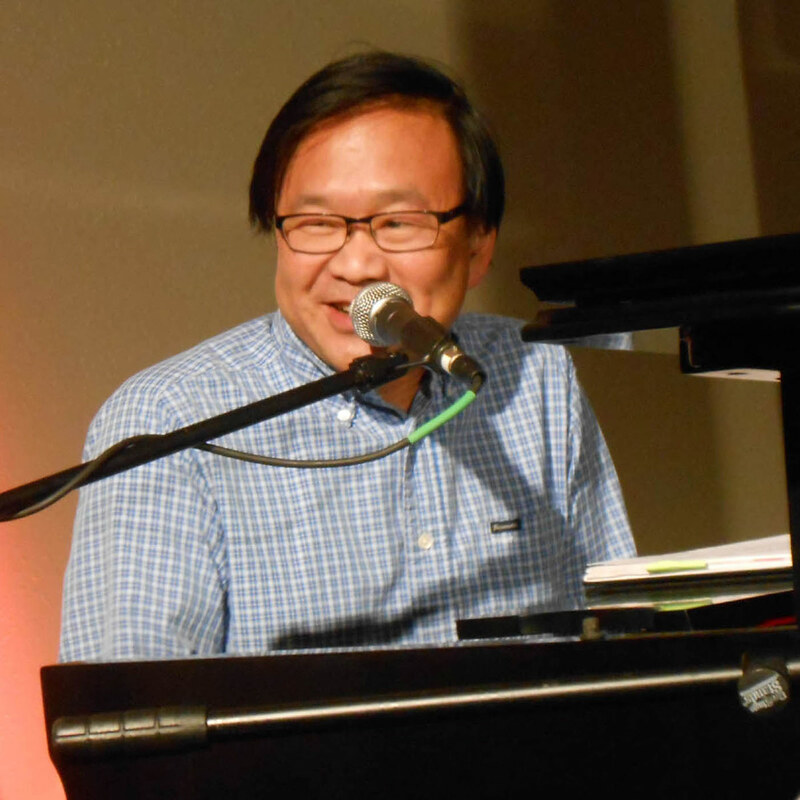 Ching began his career as a National Opera Institute apprentice 1980–1981 at the Houston Grand Opera Studio, where he was involved in the company’s productions and continued his composition studies with composer Carlisle Floyd. From 1981–1985 he held increasingly responsible positions at the Greater Miami Opera/Florida Grand Opera. He subsequently held conductor and executive director positions at venues including Texas Opera Theatre, Chautauqua Opera, and Triangle Music Theater. In 1989 Ching was appointed Assistant to the General Director of Virginia Opera. He was subsequently the company’s Associate Artistic Director from 1991 through mid 1992. In 1992 Ching joined Opera Memphis as Artistic Director, a position he held through 2010. He was the opera’s General Director for most of those years as well. Ching left Opera Memphis for Iowa in the spring of 2010 when his wife Barbara, a university professor and a native Iowan, was named chair of the English department at Iowa State University. He told the Memphis Daily News, “Barbara and I always had a plan that I would be able to stay home and write and she would be the one carrying the economic ball. The time was right and the job came through.” In addition to being a freelance composer and conductor, he is currently also Music Director of Nickel City Opera in the Buffalo, New York area, and Chairman of the Douglas Moore Fund for American Opera, which supports emerging opera creators. Ching’s fourth opera, Cue 67, a one-act 35-minute contemporary murder-mystery ghost-story set in a theater, was commissioned and premiered at Virginia Opera in 1992, paired in a double bill with Gian Carlo Menotti’s The Medium. It contains an eclectic blend of musical styles from opera to rock ‘n’ roll, pop music, and Broadway-type tunes, and the libretto is by Sandra Bernhard. Beginning in 1993, Ching wrote two related one-act operas with songwriter Hugh Moffatt. The first, King of the Clouds (1993), deals with alcoholism and broken families, and the second, Out of the Rain (1998), explores contemporary topics such as social pressure, teen suicide, and AIDS. King of the Clouds was commissioned and premiered by Dayton Opera, and Out of the Rain was commissioned jointly by Opera Delaware, the Kansas City Lyric Opera, and Opera Memphis, and premiered by Opera Delaware. Both operas, separately and together, have received numerous productions, including high-school productions. Ching’s opera Buoso’s Ghost is a comedic sequel to Puccini’s one-act comic opera Gianni Schicchi. It had its first full staging with the Pittsburgh Opera in 1996, and its official premiere at Opera Memphis in 1997. Starting where Gianni Schicchi ends, the new opera opens with Schicch’s final chords and carries the plot forward by following the sinister dealings of Buoso Donati’s family, who apparently had poisoned Buoso, and the continued machinations of Schicchi, who tries to exploit this growing suspicion on his part. Ching also supplied his own libretto to his one-act opera Faith, based on the short story of the same title by award-winning science-fiction author James Patrick Kelly. The opera follows the story of the titular character, a divorced and depressed woman who meets a man via a personal ad, discovers he talks to plants, and begins to fall in love again. Kelly said of the opera, “You get good reviews, you win an award, but there’s no feeling quite so wonderful as having another artist interpret your work supremely well. There are giant chunks of narrative [Ching] just set to music which is different … for opera … much more colloquial and approachable. This man transformed my piece into something equally, if not more, wonderful.” The opera was commissioned by OperaFest of New Hampshire, and premiered there in April 1999, with subsequent performances in September 1999 at the Vital Theatre in New York City and elsewhere, including Chicago in 2000. Ching’s three-act opera Corps of Discovery, his third collaboration with Hugh Moffatt, was commissioned by the University of Missouri for the bicentennial of the Lewis and Clark Expedition. The principal roles are Lewis; Clark; Sacagawea; interpreter Toussaint Charbonneau; York, a slave and full member of the corps; George Shannon; and John Potts, a German-born older member of the corps. In addition to full productions at the University of Missouri, Opera Memphis, Opera America’s 2003 convention, Washington State University, University of Idaho, and elsewhere, Ching also toured the piece with Fargo-Moorhead Opera, using a piano and violin as accompaniment, throughout North Dakota, including some of the locations the expedition stopped at. The Wall Street Journal praised A Midsummer Night’s Dream, stating that “Ching’s remarkably inventive opera is a celebration of what voices can do and still, with the exception of a few startling vocal percussion effects, sound like voices.” The review noted Ching’s “seamless changes in tone, … fine sense of pacing and skill with ensemble writing” and “tonal and tuneful vocal lines … written for maximum intelligibility”. The reviewer found the voicestra’s part remarkable in that it “supports the singers on the stage, its overlapping lines and syllables weaving around them, amplifying their characters and conflicts, sometimes echoing their words (or even their thoughts), or supplying atmosphere. The voicestra gives the opera an added human dimension ….” Albany Records released the CD of the opera in 2014. Slaying the Dragon, Ching’s fact-based 2012 opera, explores intolerance and redemption, and was inspired by the 1990s true story Not By the Sword by Kathryn Watterson. The two-act opera’s libretto is by Ellen Frankel, and it was premiered in June 2012 by Philadelphia’s Center City Opera Theater, which commissioned the work. The opera is the story of a Ku Klux Klan Grand Dragon whose life is transformed by the friendship and kindness of a local rabbi and his wife. The man renounces his Klan association and begins to speak out publicly for tolerance; his terminal illness eventually incapacitates him and he moves into the rabbi’s home, converting to Judaism before dying. Ching’s score balances the dark themes of bigotry and intolerance with an eclectic variety of ethnic music including Yiddish folk songs, Vietnamese children’s songs, Jewish sacred music, Aryan rock, Broadway scores, gospel music, and country-western tunes. Speed Dating Tonight!, a comic opera in one act, was commissioned and premiered in 2013 by the Janiec Opera of the Brevard Music Center. Ching supplied his own libretto for the piece, and the opera for up to 30 singers can be adapted for varying numbers of singers, voice types, gender ratios, and length of time, by cutting, re-ordering, or transposing the keys of the vignettes. Additional 2013–14 production venues included Amarillo Opera, Southern Utah University, Ithaca College, University of Central Florida, Microsopic Opera (Pittsburgh), Poor Richard’s Opera (Philadelphia), and elsewhere, and it has been cited as “the most-performed American opera within a year of its premiere”. Ching’s current project is Alice Ryley, a fact-based ghost story based on the title character (also spelled Alice Riley), a woman who was hanged in Savannah, Georgia in the 1730s. The opera was commissioned by the Sherrill Milnes VOICE Programs, via the Savannah VOICE Festival, in October 2014, and is scheduled to premier on Halloween Eve, October 30, 2015.